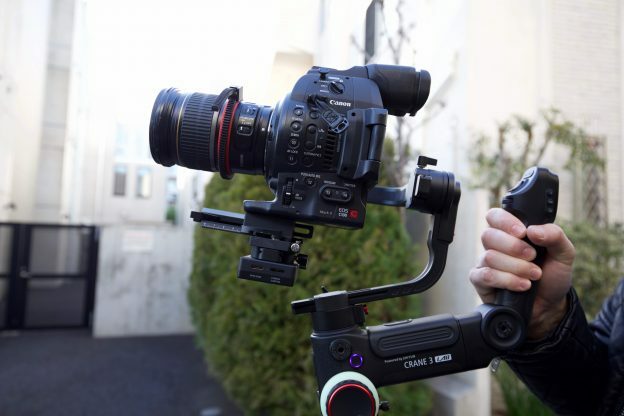 The Zhiyun Crane 3 Lab is the latest addition in the Crane series of gimbals. Zhiyun has taken a lot of what they learned from building the Weebill Lab and Crane 2 to create their flagship gimbal. The Crane 3 Lab features a unique design and can handle camera payloads of up to 4.58 kg (10.14 lb). 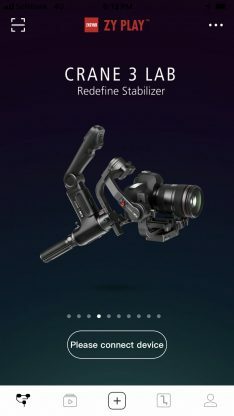 Zhiyun has forged a strong reputation for making affordable, yet high-quality gimbals, so let’s see if the Crane 3 Lab follows in those footsteps. Zhiyun went back to the drawing board with the Crane 3 Lab, and its appearance is a little different from anything we have seen before. Although it shares some of the same design traits as the Weebill Lab, there are quite a few differences. Is it two handles or one handle? Well, it’s sort of both. 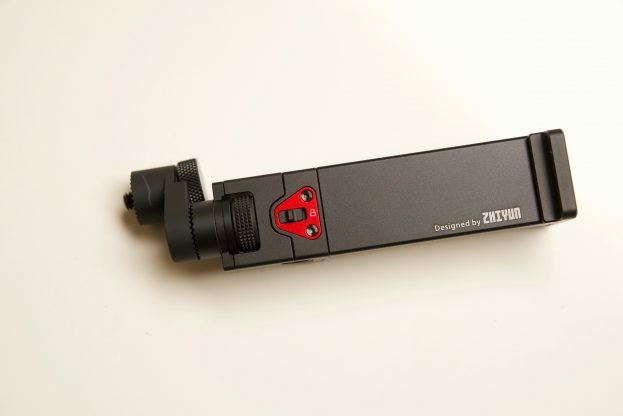 By designing the gimbal with a secondary handgrip (this is where most of the manual controls and batteries are located) it has allowed Zhiyun to shorten the main handle. The reason behind doing this is to allow the user to get the gimbal closer to the ground for low-angle shots. The secondary handle is fixed in a locked and non-movable position, unlike the Weebill Lab’s handle which can be detached or repositioned. Having a secondary handle is supposed to allow the operator to make a smooth transition to and from the low mode. By including the secondary handle you just have to change your hand position depending on whether you want to hold it upright or use it in an underslung position. You can also choose to hold the Crane 3 Lab with two hands, one on each handle. This does take some getting used to and you need to work out which hand goes on what handle. There really isn’t any right or wrong way to position your hands. Whether you like the two handle design is going to very much be down to personal preference. By going with this type of design, at least Zhiyun has given you options as to how you can hold and use the Crane 3 Lab. You may well find that you prefer holding it one particular configuration over another. I will talk more about how it is to actually use and hold later in the review. When the first one-handed gimbals came out there was always this crazy move you had to do to flip the gimbal around to put it into a low slung mode. With a lot of today’s gimbals, you don’t need to do this anymore. Some gimbals perform better than others at this task. 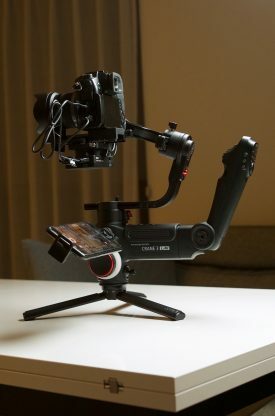 Zhiyun has certainly made this task very simple to do with the Crane 3 Lab and it is the easiest gimbal I have used when it comes to shooting in the underslung or briefcase mode. Just like on the Weebill Lab, the rear arm is also offset so you don’t have the back screen on your camera being obscured when you are shooting. You can also see that there is a lot of room for moving a larger camera back towards the roll arm. Gimbals have been around for quite a few years now and just about everyone makes one. We are now reaching a stage where manufacturers are experimenting and trying to redefine how a gimbal should look and operate. Almost all of the gimbals that are now available offer great performance. What we are now seeing is manufacturers adding more and more features and building a whole ecosystem around accessories. 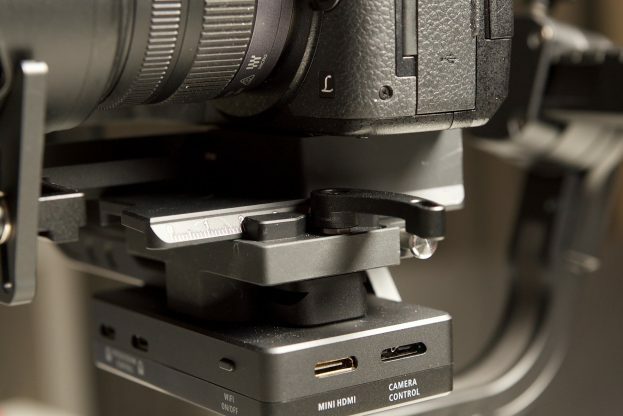 The Zhiyun Crane 3 Lab has a maximum capacity load of 4.58 kg (10.14 lb). 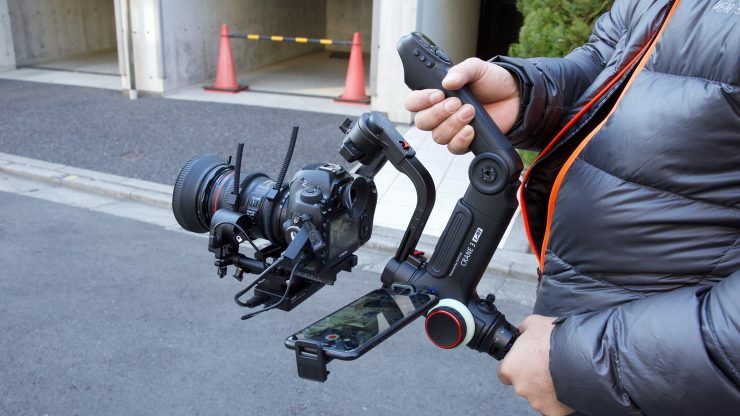 In recent times we have seen companies coming out with one-handed gimbals that can accept some pretty heavy payloads. 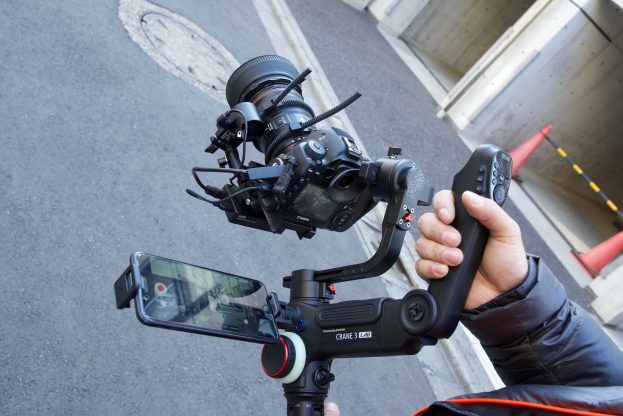 In my opinion, I think this sort of defeats the purpose of having a compact one-handed gimbal. The heavier the payload, the shorter the time you actually hold it for. I think once a gimbal payload reaches a certain point you are better off with a two-handed design. This is especially true if you are going to try and use something like a Canon C200, Panasonic EVA-1 or an ALEXA Mini on a single-handed gimbal. In my opinion, if you are just going to be running a small mirrorless or DSLR set up, there really isn’t a lot gained by buying a larger one-handed gimbal that supports high payloads. Sure, having the added flexibility to run a variety of cameras on a gimbal is great, but you really need to take into account just how long you can operate a single-handed gimbal with a heavy payload. I’m still not sure if I agree with this new fad of designing gimbals so that they are easier to get low angle shots. I don’t personally shoot a lot of low angle shots and I think the majority of gimbal uses probably get the majority of their shots at normal eye level. While there is absolutely nothing wrong with making a gimbal easier to use for low angle shots, it shouldn’t be the most important aspect of designing a gimbal. 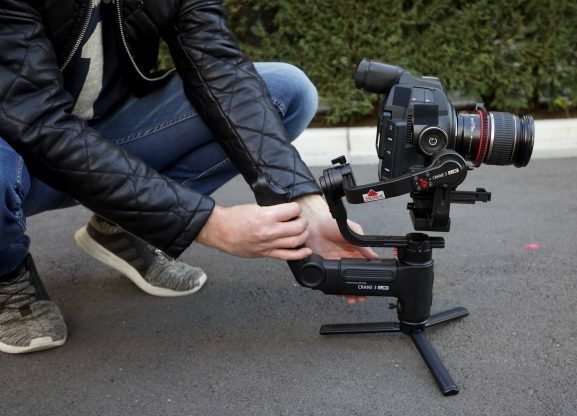 The Zhiyun Crane 3 Lab is very compact when folded down, making it easy to travel with. I love that the Crane 3 Lab can be folded down into a very small footprint. This makes it a lot more convenient to travel with as it won’t take up a lot of space in your bag. 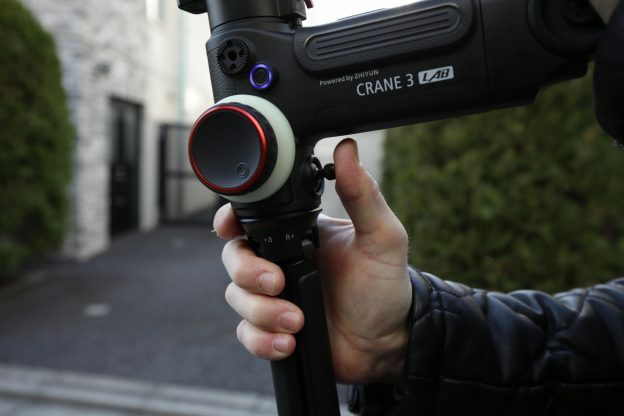 This is a big advantage that the Crane 3 Lab has over other competing gimbals, such as the DJI Ronin-S and the Moza Air 2. 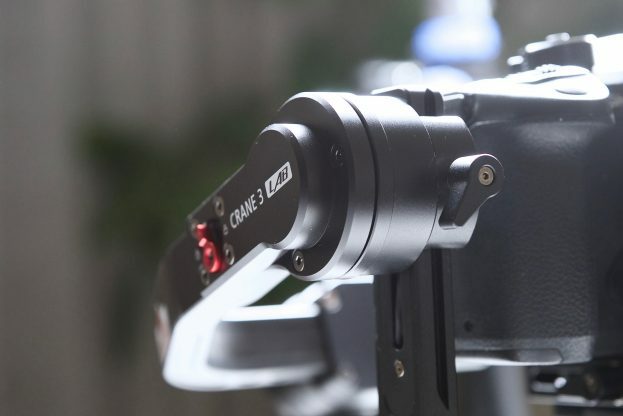 The Crane Lab 3 is aimed at users of mirrorless and DSLR cameras who want the flexibility to be able to run heavier lens and camera packages without straining their gimbal. While the gimbal can handle the weight of a smaller digital cinema camera, it hasn’t really been designed for that purpose. I’ll talk about this in more depth later in the review. 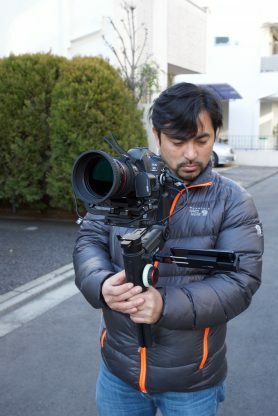 I personally don’t think that a heavy one-handed gimbal is needed for a lot of DSLR and mirrorless camera and lens setups. 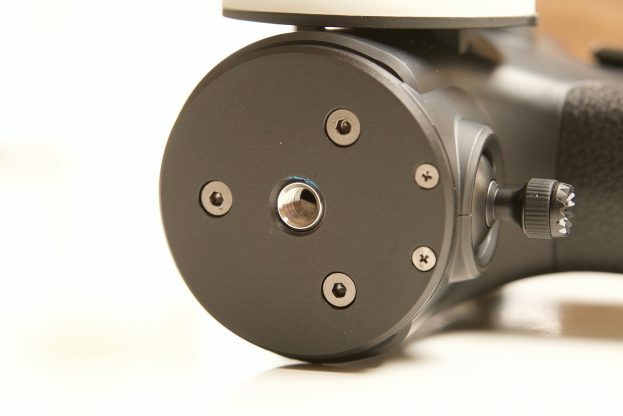 There are plenty of lighter gimbals that can handle the payloads of these type of cameras, such as the companies Weebill Lab. In saying that, using larger gimbal means there is less stress on the motors and you also have the ability to run larger, heavier lenses. Zhiyun lists the following cameras whose weights are within the bearing range of Crane 3 Lab and can be balanced on the gimbal. Please note that the list is based on cameras that both balance and can take advantage of camera control via the Zhiyun Play App. The gimbal will certainly handle a lot wider variety of cameras. 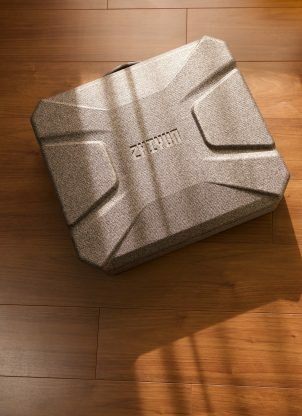 The Zhiyun Crane 3 Lab comes in a foam case that you can carry and store the gimbal in. The case isn’t strong enough for air travel, so I wouldn’t recommend you check it in. 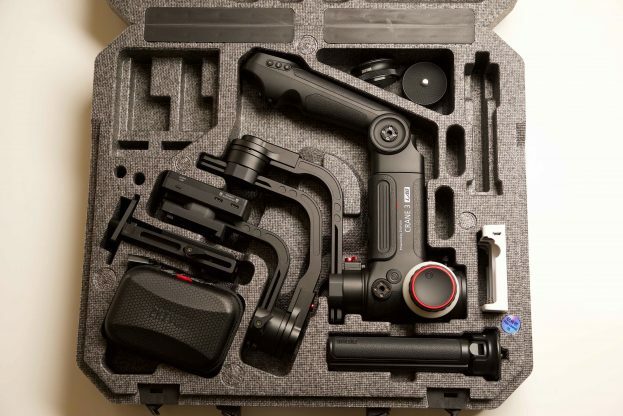 Inside the case, there are custom cutouts for everything that comes with the gimbal. All the components are easy to see and access. 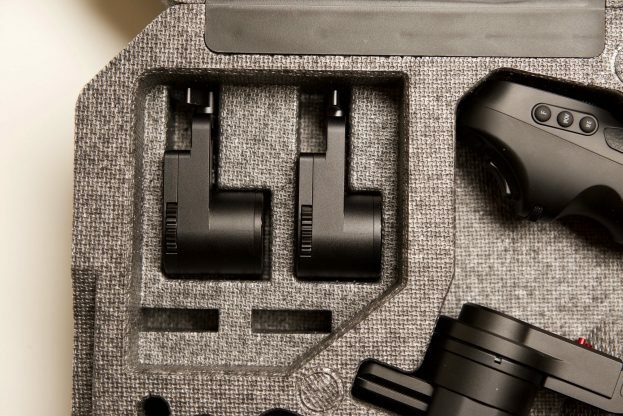 In a nice touch, Zhiyun has also included space for some of the optional accessories such as the TransMount Lite Servo Focus Controller, TransMount Max Servo Zoom/Focus Controller, and the TransMount Phone Holder with Crown Gear. This may be a small thing, but so many times I see companies make bags or cases that don’t include space for any accessories. You also get a quick start guide which gives you enough information that you can set up and get your gimbal running fairly quickly. The Crane Lab 3 has a similar build quality to the Weebill Lab. Despite quite a lot of plastic being used, it’s still a pretty heavy gimbal. All the buttons, switches, and knobs are fairly well made. If you are familiar with Zhiyun products you will be more than happy with the build quality of the Crane 3 Lab. There wasn’t anything that I saw that overly concerned me in terms of how it was built and put together. It looks like it would hold up well to the rigours of field use. The Crane 3 Lab uses aviation grade motors in a brand new structure. 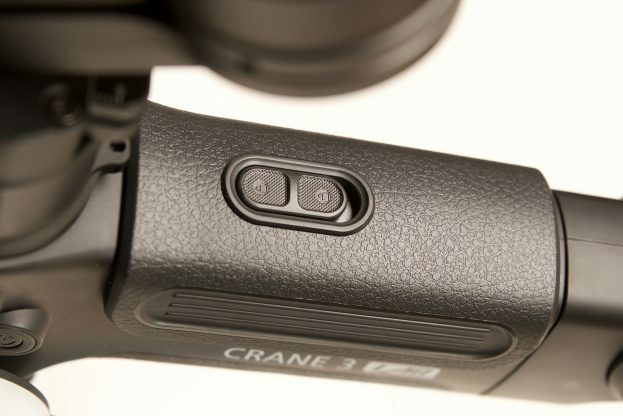 Zhiyun claims that the Crane 3 Lab features 50% noise reduction and 100% increase in motor torque over the Crane 2. They also say that there is a 150% improvement in response speed. The motors definitely don’t feel like they are struggling at any time, even when running payloads that are very heavy. As I mentioned earlier the Crane 3 Lab has a payload capacity of 4.58 kg (10.14 lb), which allows you to run quite a variety of camera and lens combinations. To my knowledge, this gives it the highest payload capacity of any single-handed gimbal on the market. Below are payload capacities of some of the competition. Look there is no way to sugar coat it, it’s a heavy gimbal. Even using a smaller camera like a Canon 5D Mark IV, I wasn’t able to hold onto it for very long before I felt like I wanted to put it back down. This is not a dig at the Crane 3 Lab, I find this to be the case with all of the larger single handed gimbals. What you do need to keep in mind is that the Crane 3 Lab (with batteries) weighs in at 1.9 kg (4.188 lb). If you were to attach the included tripod stand and phone holder, as well as a smartphone and camera/lens package that weighed in at around 4.5kg, you would have to hold around 7kg (15.4 lb) of weight. This is not easy to do and you will find yourself putting the gimbal down within a few minutes. 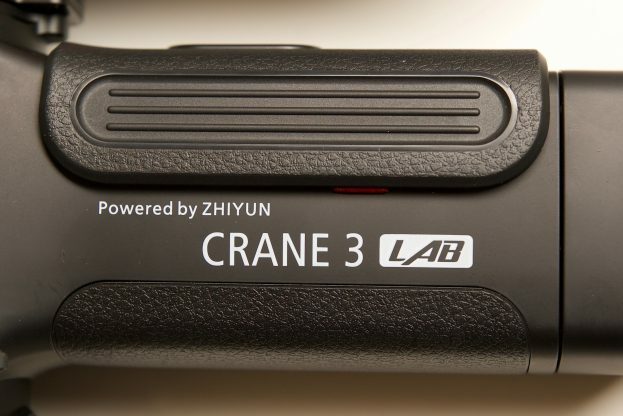 The Crane 3 Lab requires 3x 18650 batteries, and Zhiyun claims a run time of up to 7.5 hours. Based on my experience using the gimbal I found that the battery life was good and it should easily get most shooters through an entire day. To remove the battery cover, there is a little locking switch on the top that you need to unlock. Just like the Weebill Lab, the Crane 3 Lab features a latch on each axis that you can lock off to make balancing the gimbal a lot easier. So is it actually easier to balance? In short, yes. I like that you can balance one axis, then lock it off and do the next one. Just to be crystal clear, you do have to balance the Crane 3 Lab just like you would any other gimbal, but if you are familiar with this process, you will find it similar to any other gimbal you have used. Being able to lock down the axis makes it easier to balance and also helps with transport. The nice aspect about these latches is they aren’t made out of plastic, they are anodized aluminium and are not going to break. What I do like is if you are travelling around from location to location you can lock all of the axes and keep your camera on the gimbal. Then when you turn up you can simply unlock them and you are ready to go. This saves you a ton of time as you don’t have to re-balance the gimbal everytime you move locations. If you are like me, I tend to leave a camera on a gimbal as I find it too time-consuming to be taking a camera on and off all the time. This is one of my favourite features of the Crane 3 Lab. 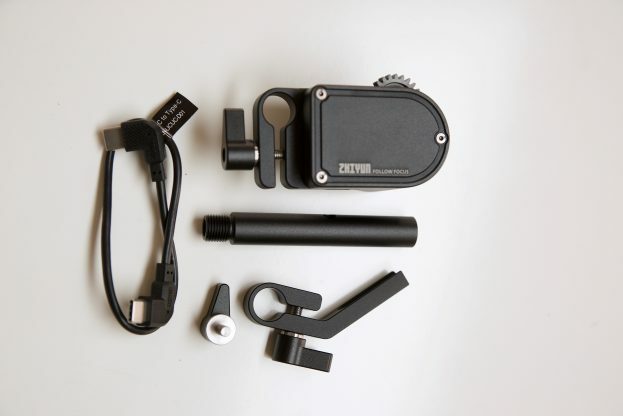 In saying all of this, it is just as easy to take your camera off as it has a quick release plate. 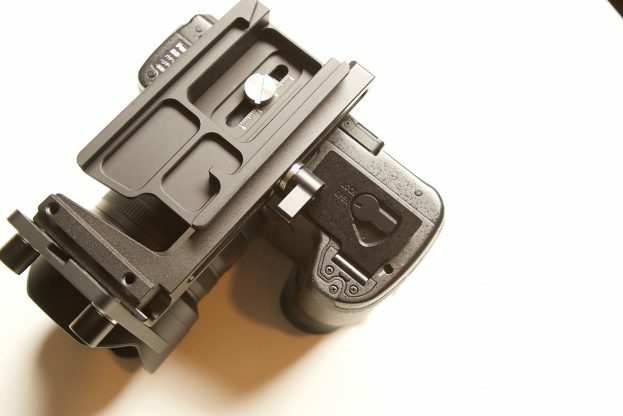 This allows you to put the camera back on the gimbal without needing to do any major rebalancing. 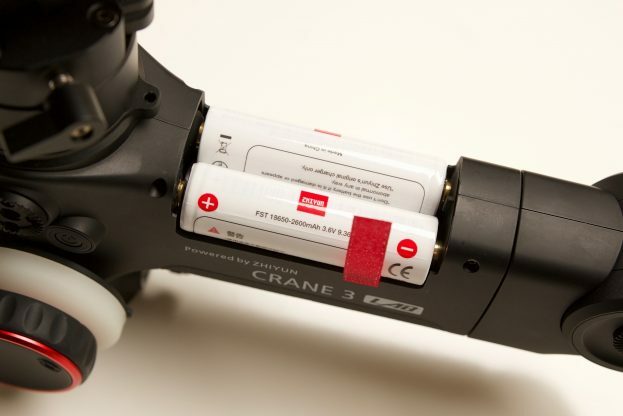 The Crane Lab 3 utilizes a Manfrotto quick release plate which makes it a lot quicker if you want to take your camera off or put it back on the gimbal without re-balancing. It also makes it a lot easier to change batteries in your camera. I found that the quick release design and operation was better than that of the Weebill Lab. 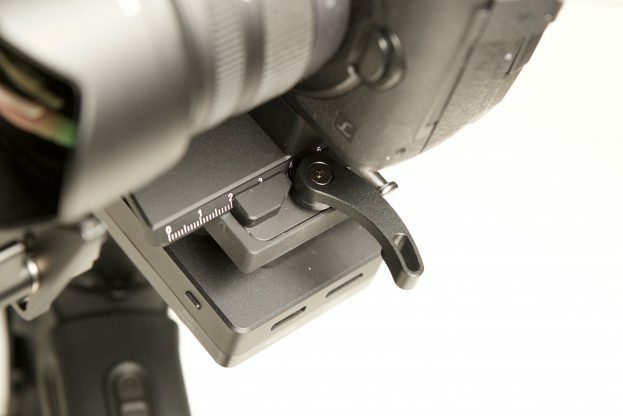 The quick release plate is quite high, and I imagine Zhiyun has designed it this way so you don’t need a riser. This quick release system is easy and straightforward to use. It’s as simple as unlocking the lever and then pushing in a catch release mechanism. Once you have it balanced you simply just lock the lever. Geez that lens needs a clean! 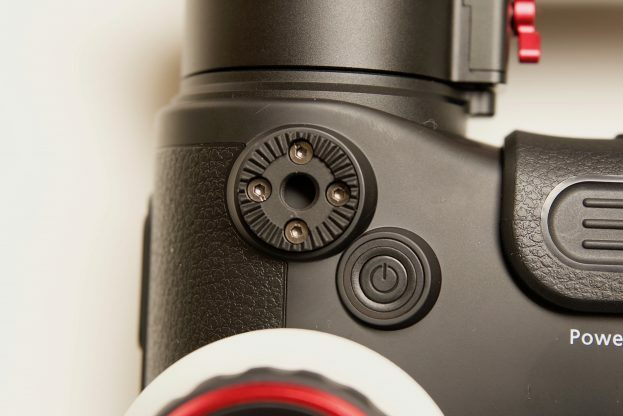 Another nice feature of the quick release plate system is that there is a lens support that moves independently of the plate, even though it is attached. 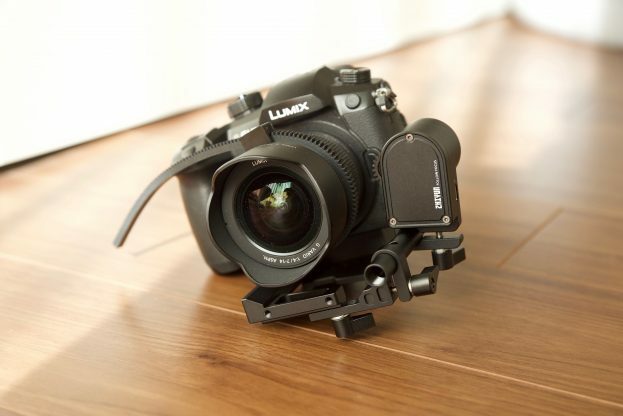 The lens support is height adjustable and it is nice and big so it provides additional support to your camera and helps prevent any twisting of the camera body on the plate as well as any lens torque when using the motors. The problem I found with the locking mechanism that moves the lens support, is that it ends up covering the battery plate on some smaller cameras. On the Panasonic GH5 it completely blocked the battery compartment and I had to take the camera off the gimbal, then undo the screw that attached the quick release plate to the camera and physically move it before I could swap the battery over. One of the nicest features of the Weebill lab is that the stand is built into the handle. I really liked this, because it allows you to put the camera and gimbal down very easily without increasing the footprint dramatically. While the Crane 3 Lab does come with a stand, you have to screw it into the bottom of the gimbal. It works really well, but once you have it folded up it does increase the Crane 3 Lab’s footprint quite substantially. I really can’t complain too much, but I did prefer how it was implemented into the Weebill Lab’s design rather than coming as an included accessory. In a nice touch, Zhiyun has labelled the tripod stand so you know exactly which way it needs to be turned to remove it or tighten it onto the gimbal. I like little touches like this because it shows me that the design team is paying attention to small details. The Crane 3 Lab has a 1/4-20″ mounting point on the base of the main handle. This is where you can attach the included Mini Tripod Legs, or put it onto a light stand, pole or anything else that you want to use. 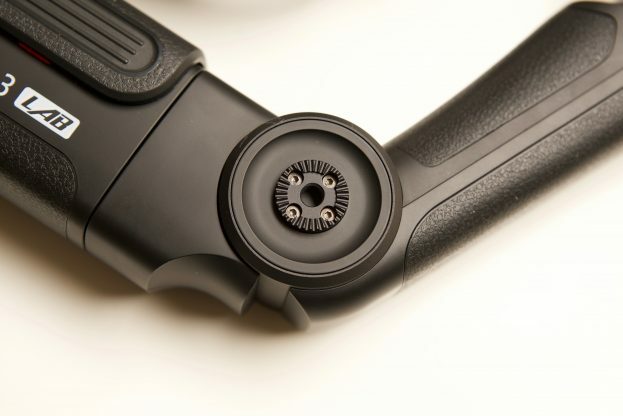 On the side of the main handle, above the focus wheel, there is another mounting point where you can attach the optional TransMount Phone Holder with Crown Gear or a monitor arm or other accessory. This is also a 1/4-20″ tapped hole. The same type of mounting point is also available on the bottom of the rear handle. The optional TransMount Phone Holder with Crown Gear really is a must if you are purchasing the Crane 3 Lab. I still can’t work out why they made this an optional accessory and charge $49 USD for it. It really should have been a standard accessory that is included with the gimbal. First introduced on the Weebill Lab, wireless image transmission is also as a standard feature on the Crane 3 Lab. This was one of the main features for me that put the Weebill Lab ahead of its competition (when it worked). I hate rigging up an external monitor to a gimbal and I can’t for the life of me judge exposure, framing and focus from a tiny screen on the back of a camera. This is especially true when shooting in bright sunny conditions. With a built-in wireless transmitter, the Crane 3 lab allows for real-time monitoring, framing and camera control (although this depends on the camera). The image is wirelessly transmitted over wi-fi so all you need to do is download the Zhiyun Play app and then fire up your smartphone. The way it works is slightly different to the Weebill Lab. 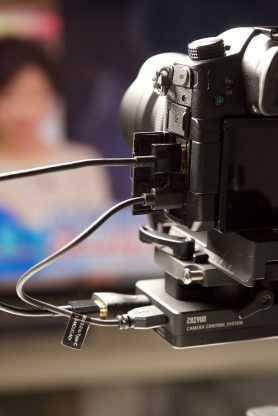 With the Crane 3 Lab, you need to use an HDMI cable that you connect between your camera and the gimbal. 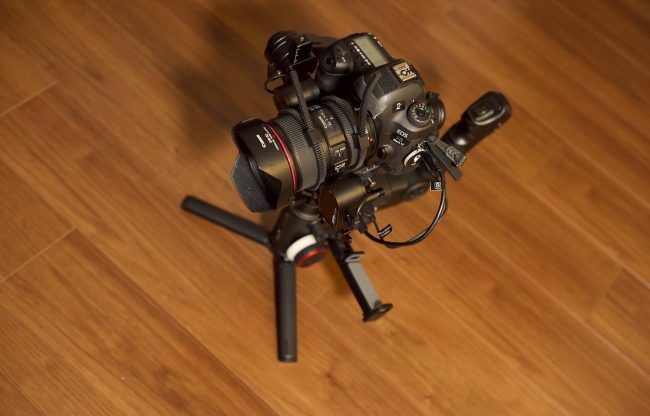 The only problem is, and they never show you this in the marketing material, you need to have both the camera control cable and an HDMI cable connected up between your camera and the gimbal. This means you have a myriad of cables sticking out everywhere. You also need to be aware that with certain cameras, if you attach an HDMI cable or use a camera control cable, the back LCD screen turns black. This is exactly what happens with the Panasonic GH5. You can still receive a wireless video signal without having to use a camera control cable. 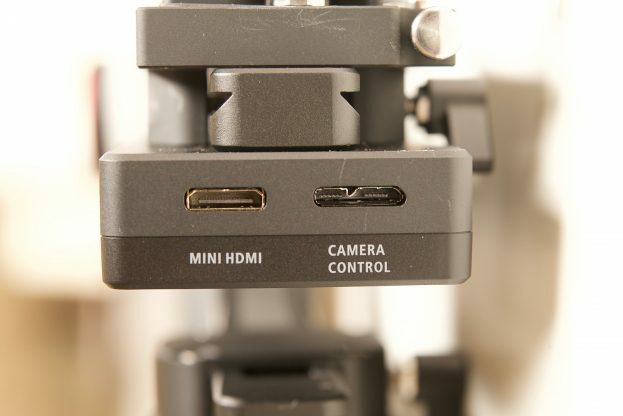 Another thing you need to keep in mind is that the HDMI port on the Crane 3 Lab is a Mini HDMI, so you need to have Mini HDMI to either a Micro or a full-sized HDMI cable. These are not as easy to find as a straight full size to full-size HDMI. I would have preferred to have seen a full-sized HDMI output on the Crane 3 Lab. It’s not easy to find very short HDMI cables. Even though Zhiyun includes a Micro to Mini and Mini to Mini HDMI cables in the box, there isn’t a Mini to full-sized cable. So many cameras use a full-sized HDMI and so do external monitor/recorders. The nice thing about having an HDMI port on the Crane 3 Lab is you can still use an external monitor/recorder as well as the wireless video transmission. All you have to do is run an HDMI from your camera to the external recorder/monitor and then run another cable from the HDMI out on the recorder/monitor to the HDMI input on the Crane 3 Lab. Above you can see a quick run through of how to establish the connection using the Zhiyun Play app and what functions are available. The image quality you receive from the Crane 3 Lab is a lot better than that of the Weebill Lab. The Weebill Lab could only transmit 720p, while the Crane 3 Lab’s wireless is 1080p. Zhiyun also seemed to have improved the latency and it doesn’t have as much delay as the Weebill Lab, but in saying that, it still occasionally has latency issues. This increase in resolution and less lag makes using your smartphone as a monitor a viable alternative to a dedicated monitor. I was very impressed with the image quality from the wireless video transmission. The ViaTouch Control System for the App uses a simple interface that is very similar to what you would find on a DJI drone. It’s nicely laid out and allows you to make adjustments to both the camera and the gimbal, but most importantly it allows for real-time monitoring. If you use one of the latest generation iPhones it is very easy to see your picture, even outdoors in bright conditions. I like that Zhiyun has made the UI simple so that anyone who has ever used an iPhone can work it out very quickly. The Zhiyun Play app allows you to adjust and control your gimbal as well as control quite a few functions on your camera (this depends on what camera you are using). What is nice, at least with the GH5 I was testing, is that if you activate items like focus peaking or zebras on your camera, they are transferred across to the wireless video feed on your smartphone. The smartphone holder doesn’t come as standard with the Crane 3 Lab, it is an optional extra. I tried to see if I could use a smallHD 502 external monitor in the smartphone holder but it doesn’t really fit in properly. 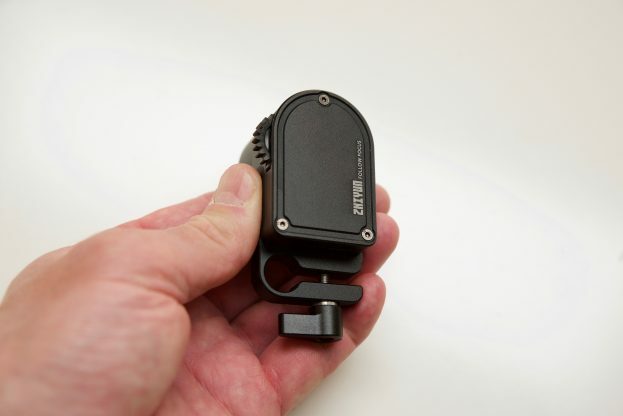 Where you attach the smartphone holder there is just a common 1/4-20″ receptor, so you could use an arm or something similar to run an external monitor or monitor/recorder of your choice if you wanted to. As the Crane 3 Lab has two mounting points you can mount both the smartphone holder an external monitor/recorder. I tried out the app and Crane 3 Lab with both a Panasonic GH5, Sony a7S, and a Canon 5D Mark IV and they all worked well. It’s really nice to be able to change the ISO, F-stop, EV, shutter and white balance directly from within the app without having to touch the camera. One of the features in the Zhiyun Play app is the image tracking. This feature allows you to draw a box around an object and then the gimbal will track that object no matter which direction the gimbal is moving. I found the image tracking to be pretty disappointing. It seems to only work when subjects are in the middle of the frame. As soon as they start moving toward the side of the frame the tracking seems to stop. When I reviewed the Weebill Lab last year I found that it was a really handy feature to be able to hold onto your smartphone and have the gimbal facing behind you. This allowed you to get a walking shot of a subject without you having to walk backwards. Not only could you see your shot, but you can also see where you are going. This was very useful if you are operating as a solo shooter. While you can still do this with the Crane 3 Lab, I found it a lot harder t do. Trying to hold a very heavy gimbal with a single hand was not nearly as easy or comfortable as it is with something smaller and lighter. The nice thing about the wireless video transmission is you don’t have to use it if you don’t want to. You can just use the Crane 3 Lab like any other gimbal, it’s not dependent on the app. You could just use the onboard screen of your camera and then fire up the app and give it to a producer or director so they could see what you are filming. It’s also nice to give it to someone else so they can control the gimbal while you are shooting. This list will be updated in line with a firmware update and is subject to change. 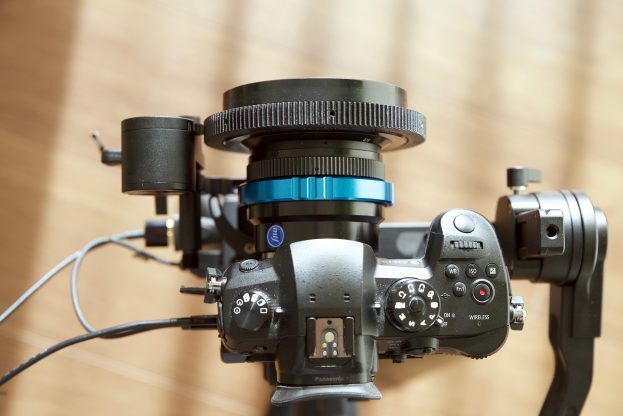 If you are familiar with other Zhiyun gimbals you will find that the basic control layout is similar to previous offerings, but on the Crane 3 Lab, they have been positioned on the rear handle. Now, this is both good and bad. The good aspect is because of the way the Crane 3 Lab has been designed, you are probably going to be holding it with two hands anyway. 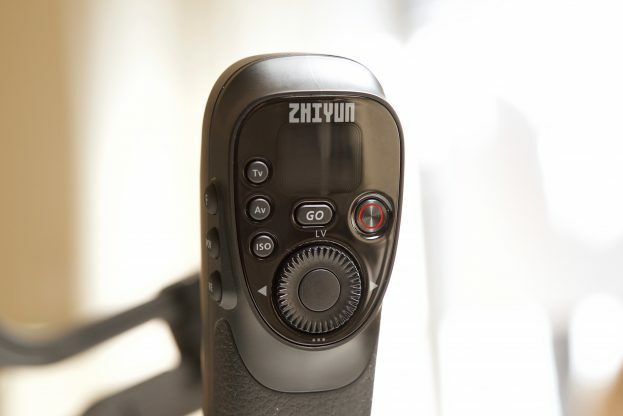 The bad aspect is that by positioning the controls on the rear handle, Zhiyun is forcing you to use it. If you want to use the joystick control or focus wheel then you are almost being forced into holding the gimbal with one hand on the rear handle and one on the main. If you want to just hold onto the main handle you won’t be able to easily change camera settings such as f-stop etc. In saying this, if you did want to just hold onto the main handle or not use the rear handle, you could attach your smartphone and then make all of your changes there. That way you don’t have to touch any of the controls on the rear handle. You may also find that you will have to hold the rear handle with whatever is your dominant hand. For example, if you are right handed and you try and hold the rear handle with your left hand you might find it awkward to make changes or operate the buttons. I do, however, like that the display screen is on the rear handle because it makes it a lot easier to see. Having the screen on the main handle doesn’t make a lot of operational sense because you can’t really see it easily. On the rear handle, there is a small display, record button, GO button, buttons for changing the camera setting modes such as ISO and f-stop, and a dial for navigating the menu and making changes. 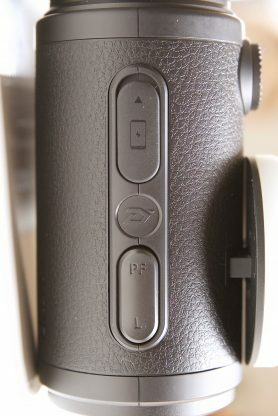 To the left-hand side there are three buttons for changing the gimbals operating modes. On the rear of the back handle, you will find a zoom rocker. This can be used to zoom compatible lenses or to control the optional focus/zoom motor. 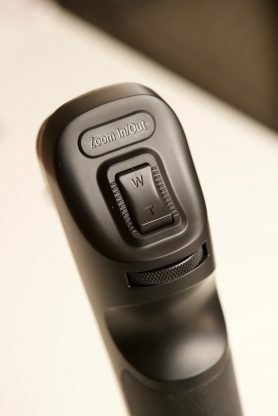 There is also a dial underneath the zoom rocker that is for making camera setting adjustments. The screen can show you a lot of information about the Crane 3 Lab, and especially your camera settings, but it is in a position that when you are using the gimbal you probably won’t be able to see it. On this same screen, you are able to adjust compatible camera settings such as ISO, shutter speed (which for some strange reason gets displayed as TV), and your f-stop using the scroll wheel. On the front of the main handle, there is a joystick for panning and tilting the gimbal. 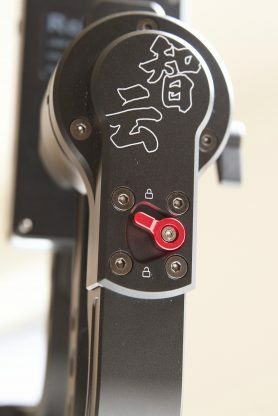 I really like that Zhiyun has put a much more tactile joystick on the Crane 3 Lab, as opposed to the dial like joystick that was on the Weebill lab. I found the joystick on the Crane 3 Lab a lot more responsive and easy to use. 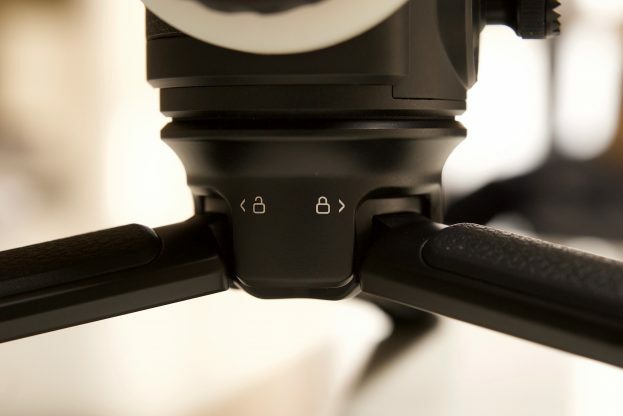 You can also change between two of the gimbals operating modes by pressing one of two buttons on the front of the main handle. If you want to follow fast moving objects or people you can enter what is called the PhoneGo Mode. By single tapping on the Go button, the gimbal goes into its maximum follow speed. This is handy if you are filming sports or anything with fast moving motion. This is similar to Sports mode on the Ronin-S. 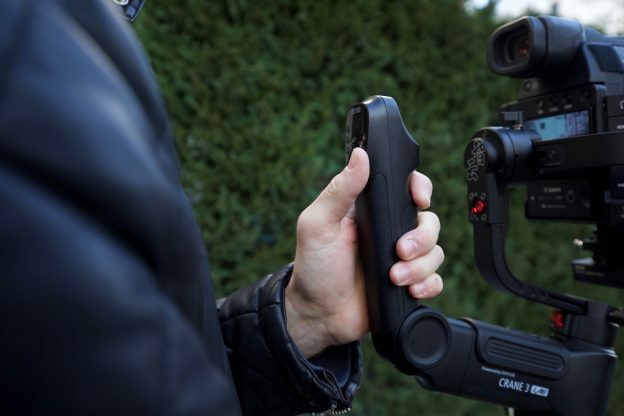 The gimbal has a built-in motion control sensor, so if you don’t want to use your smartphone on your gimbal, you can take it off and turn it into a motion sensor controller. By simply moving your phone, you are controlling the gimbal in real time. This is a nice feature and it’s impressive that it is a free built-in feature in the app. If you have used Mimic with a Freefly Movi or the controller mirror mode on the Ronin 2, it is a similar feature. It does take a bit of time to get used to how it works, and it is not the most intuitive way to operate your gimbal, but once you get the hang of it it works fairly well. 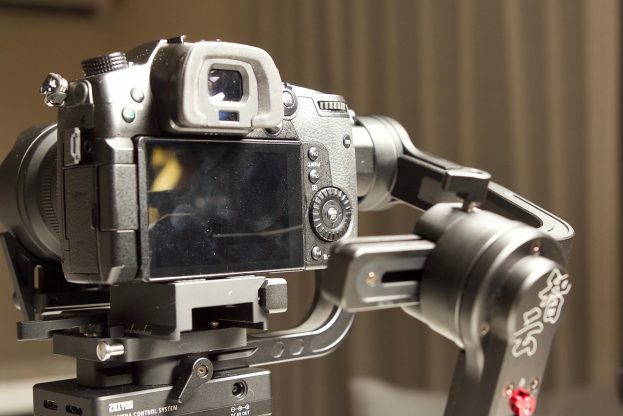 This feature can come in handy if you are using the gimbal on a jib or as a remote head. Update: This feature has now been canceled from the current ZY Play app for Weebill Lab & Crane 3 Lab. It is undergoing internal development and tests and will be released in a future version of the app. Getting critical focus, especially when shooting 4K on a full frame sensor camera is hard at the best of times. In the last 12 months or so we have seen quite a few follow focus systems emerge for gimbals. 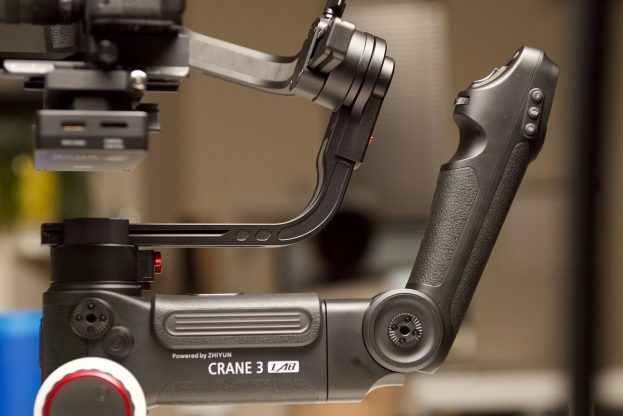 The Crane 3 Lab has a built-in focus controller on the gimbals handle, but they also have two optional follow focus (or zoom) motors that are available. On the Crane 3 Lab you can connect up two follow focus motors, so you can use one for focus and the other for zoom. Now, there is actually two different versions of the motor available. One is the TransMount Lite Servo Focus Controller, and the other is the TransMount Max Servo Zoom/Focus Controller. While they look similar, the TransMount Max Servo Zoom/Focus Controller is slightly larger. Both Controllers will work on the Weebill Lab as well as the Crane 3 Lab. Included with Focus Controllers are the mounting bracket, a 15mm rod, and the power, control cable. 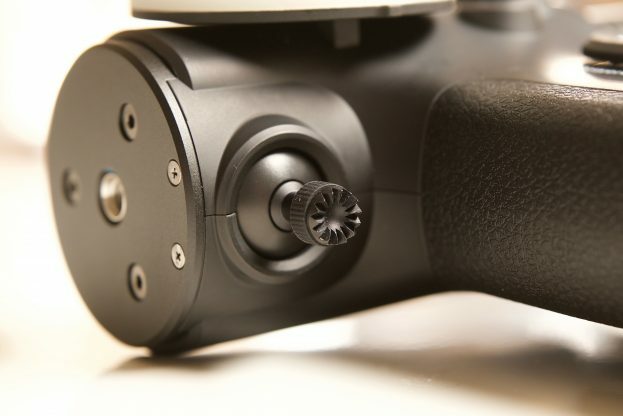 Both Focus controllers feature a tool-less design, and they attach to the gimbal using just the included thumbscrews. 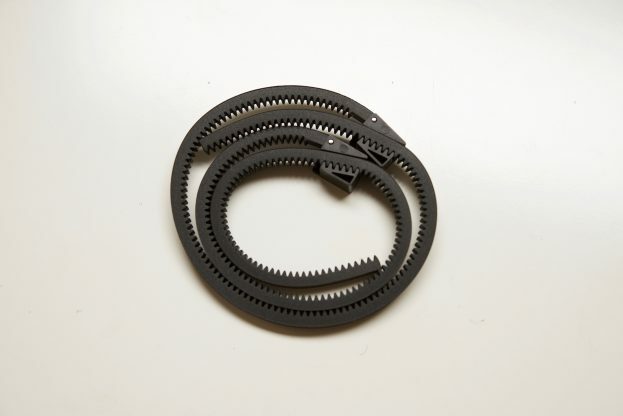 To attach, you secure it to the supplied support bracket and mounting rod using two thumbscrews, and attach this assembly to the bottom of the gimbal’s baseplate with the third thumbscrew. You then connect the servo to the gimbal with the provided USB cable and connect the camera to the gimbal with one of the camera control cables the gimbal comes with. The USB cable connection provides zero-latency signal transmission. 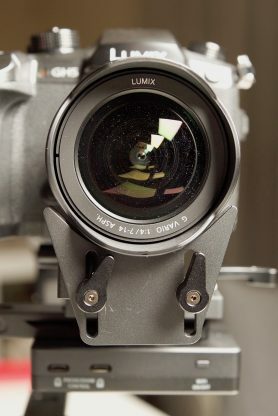 One of the design flaws with the follow focus motor for the Weebill lab was that it attached to the quick release plate. When you took your camera off the Weebill Lab the follow focus motor and bracket were still attached. This wouldn’t be so much of a problem if the follow focus worked without the Weebill Lab, but it didn’t. Unfortunately, Zhiyun hasn’t changed this with the Crane 3 Lab. When you remove your camera the motors are attached to the quick release plate. In saying this, you can undo and remove the mounting bracket for the motor, but this a step you probably don’t want to do if you are in a hurry. 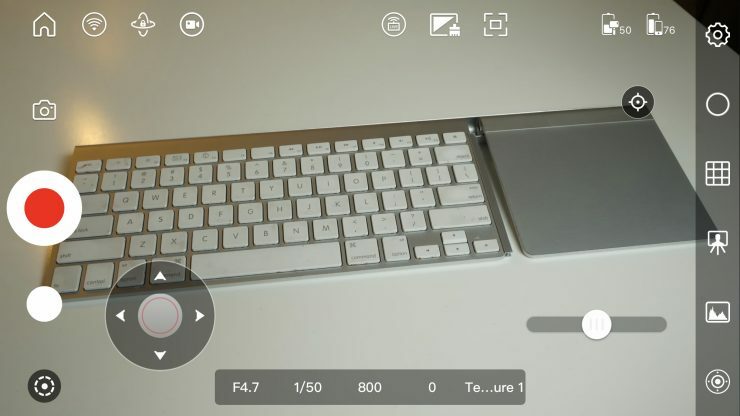 The external follow focus can be controlled in two ways, one is through a tactile wheel on its body, or through the app directly on your smartphone screen. If you use one as a zoom, you can also control it via the app or through a zoom rocker on the gimbal. 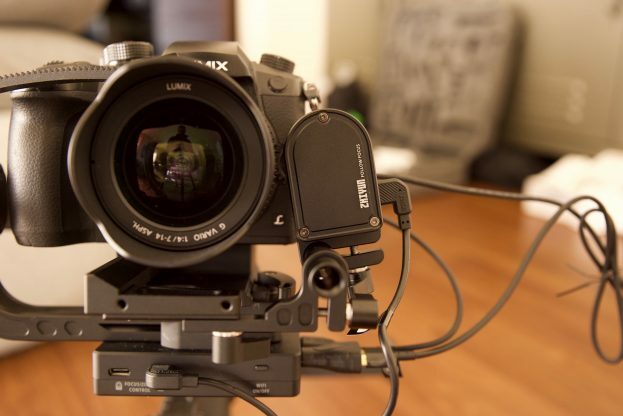 The external follow focus motors are relatively lightweight and certainly do work. You just hook it up to the gimbal with a cable and then you can control focus directly on the side of the gimbal. The motor is absolutely silent and doesn’t make any noise at all. With the follow focus motor you get a couple of rubber lens gears that you can use on lenses that don’t have pitch gears. These work reasonably well, you just have to make sure you have then tight enough around the lens so they don’t slip or move. I found they were a little fiddly to put on to your lens and secure tightly. Connecting the motor to the Crane 3 Lab via the included USB cables. While there is absolutely nothing wrong with how the motors operate or perform (with stills lenses) they do take a bit of time to install and set up. The whole process is a little fiddly and time consuming and by the time you add the rubber lens gear and attach another cable between the gimbal and the motor you end up with cables and bits and pieces everywhere. I think it would have made more sense to design a wireless system that communicated with both the gimbal and the app so you didn’t end up with so many cables. I would have also preferred to see the motors feature an inbuilt battery so they could be used without the gimbal. I wanted to see if the follow focus was strong enough to move the lens gear on a PL lens. Despite the actual pitch gear on the follow focus motor being very small, it was able to move the focus barrel of the lens. While the motor really isn’t designed to move a heavier lens, it still works. 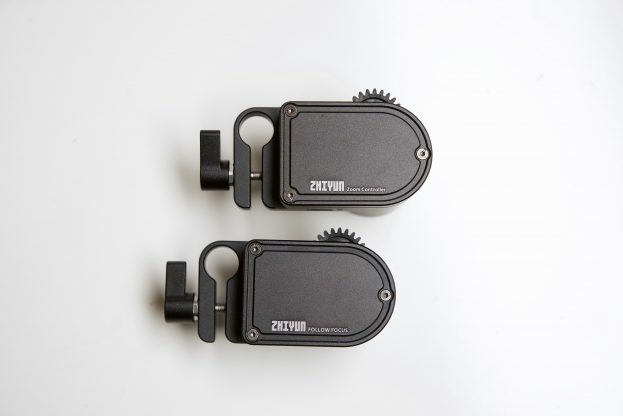 If you are expecting the Zhiyun motors to have the same sort of torque and operation of more expensive motors you will be disappointed. They are primarily designed to be used with stills lenses. You can also reverse the motor so if you are using Nikon lenses for example, which focus in the opposite direction, you can still use the focus wheel in the same direction as you would for say a Canon lens. The problem with the mounting system and the size of the focus motor is you can’t raise it. When I tried to use it with a C100 Mark II, the focus motor wasn’t high enough to reach the lens. The TransMount Max Servo Zoom/Focus Controller works in the exact same manner as the stand-alone focus motor. While it’s a nice option to be able to remotely zoom your lens, or do a slow zoom in, there aren’t that many times I could think of where I would want to do this when using a gimbal. 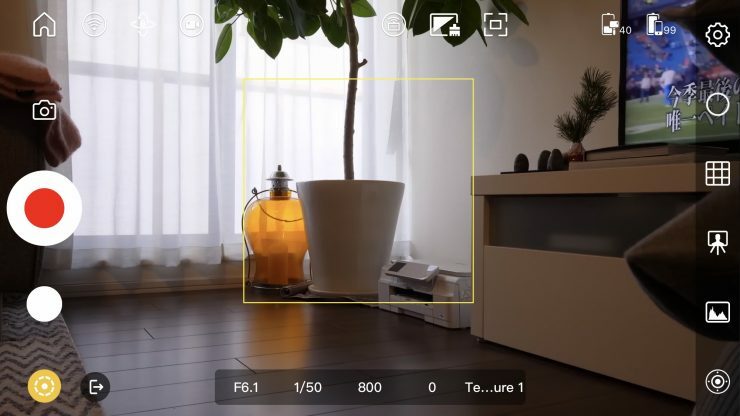 I think this feature is more useful if you happen to be using the camera on a stand as a remote camera and you want to be able to change your focal length. The one thing you need to keep in mind is the TransMount Max Servo Zoom/Focus Controller won’t work with short lenses or smaller camera setups. You can’t physically get it into position without it hitting the camera body. It really only works on longer lenses where you have room to position the motor correctly. We are starting to see a lot of small, compact focus motors appearing on small gimbals. DJI, Tilta, and the Moza Air 2 have options available. Other companies like PD Movie also have solutions available like their Live AIR focus system which works on Bluetooth. 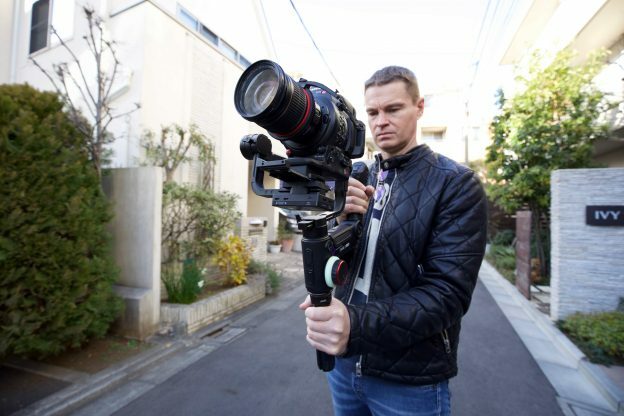 I like this trend as it opens up a lot more creative ways to use a small gimbal. You are not just limited to using a wide angle lens and setting it at infinity or relying on autofocus. In saying this, if you are going to be changing lenses often, then you need to be aware of just how long it may take you to make changes. With the Crane Lab 3, you can take panoramas, do focus timelapse, and motion time-lapse with select cameras. This can only be done by switching to the camera mode in the Zhiyun Play app. You can’t do it in video mode. All three of these functions are fairly easy to set up. This material is saved on your camera, not to your phone. For the GH5 at least, you need to have the camera in one of the still photography modes to use this feature, it won’t work if you have the camera in video mode. For the timelapse on the GH5 you have to set the camera to single shot, if you have it set for timelapse it won’t work. Unlike the GH5’s in-built timelapse feature, it doesn’t look like the Zhiyun Play’s app lets you save the timelapse as a movie once it is finished. Features are great, but at the end of the day it’s still a gimbal, and therefore it needs to be able to create smooth shots. So how does the Crane 3 Lab perform? The gimbals stabilization is nice and smooth and with the increased motor strength it never really feels like its struggling even if you are running very heavy camera payloads. I found that the majority of the footage I got was very smooth and usable, and the gimbal performed well. Like any gimbal or Steadicam, results will vary depending on how proficient you are as an operator. Above you can see some example footage captured with the Crane 3 Lab. This is not just a collection of pretty shots, as I wanted to show the good, the bad, and the ugly. All I was interested in is to see how the gimbal performed and how it was to operate and use. I’m sure if I spent more time using the gimbal my results would improve. Like any new product, especially one with a different design, there is always going to be a learning curve. It is very hard to make a comprehensive conclusion as to the gimbals performance without using it over the span of several months. One-handed gimbals always have the inherent problem of creating quite pronounced up and down movement when you are walking. This is due to the momentum of your body moving your arm up and down. 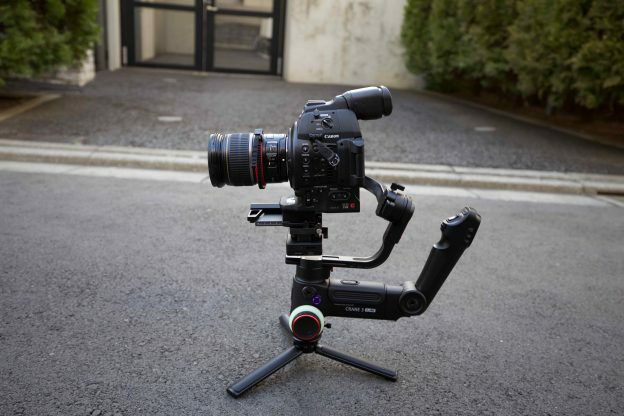 With a two-handed gimbal, this is easier to control as you are essentially locking your shoulders to create a more stable platform. 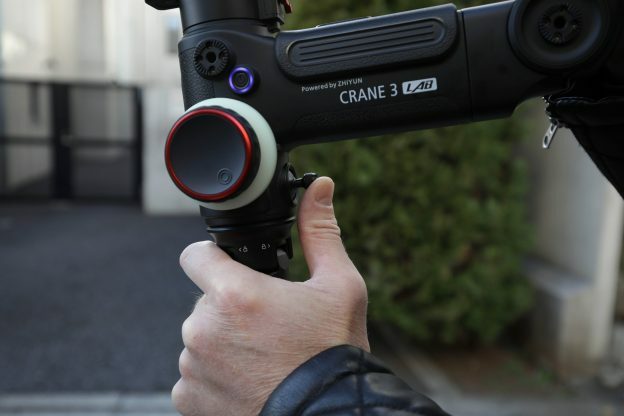 While the Crane 3 Lab does a fairly good job with this, just like any one-handed gimbal, you will still get a slight up and down movement when walking. The design of the Crane 3 Lab certainly does make it easier to get low angle shots and transition from a low angle to a normal level. Having two handles certainly does make a difference when doing these type of shots. I actually found that for me personally, I preferred to hold onto both the handles when shooting at normal eye level. I just found that it felt more stable. 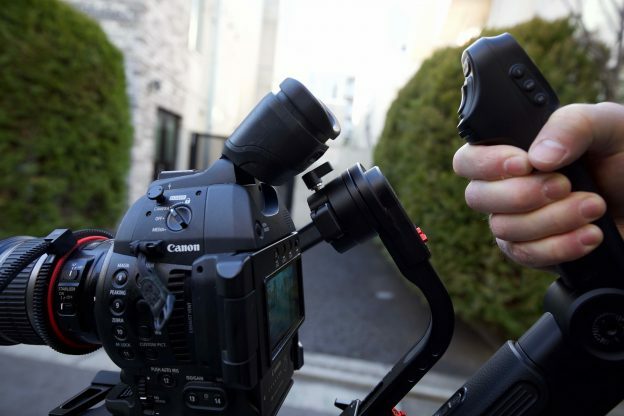 In saying that, it’s very hard to hold onto the gimbal without using the secondary handle. I found the best way to hold both handles and keep the gimbal steady was to push forward with my hand on the main handle while using my rear hand to pull back on the secondary handle. The problem I found is if I wanted to use the joystick to pan and tilt the gimbal I had to do it with my right hand and not my left. If I tried to do it with my right hand, my wrist got bent into a very uncomfortable position. I found the only way around this was to use my right hand to access the joystick control. As far as actual performance of getting smooth shots, I didn’t feel like it was that much different to any other Zhiyun product I had used. 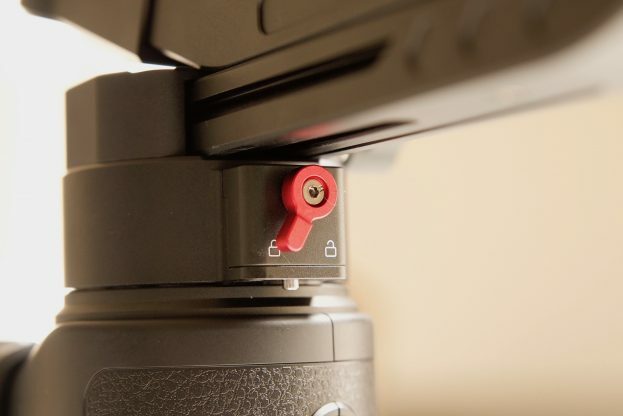 What you do need to be aware of is if you take the bottom tripod stand off and just use the Crane Lab 3 without it, your hand is likely to accidentally move the joystick. I found if I used the gimbal like this I was always hitting the joystick and accidentally moving the gimbal around. You really do need to use the Crane 3 Lab with the tripod stand. Speaking of the tripod stand, once you put the Crane 3 lab down, the only way to pick it up easily and safely is by the rear handle. The focus control wheel is located in a position where it isn’t that easy to use due to the way you have to hold onto the Crane 3 Lab. When you use your smartphone in the optional cradle I found it very hard to make changes without putting the gimbal down. To make changes you need to take your hand off the main handle, which means all of the weight gets transferred to the hand holding the rear handle. To be perfectly frank, you are almost always going to be able to get better results from gimbals such as a Movi or Ronin. One handle gimbals have their limitations, and what you sacrifice in performance, you make up for in usability and portability. How does it perform with smaller digital cinema cameras? I decided to test out the Crane 3 Lab with a Canon C100 Mark II and a Canon 17-55mm F2.8 lens. As the gimbal can support payloads of up to 4.58 kg (10.14 lb) I wanted to see if it was possible to use a larger sized digital cinema camera. 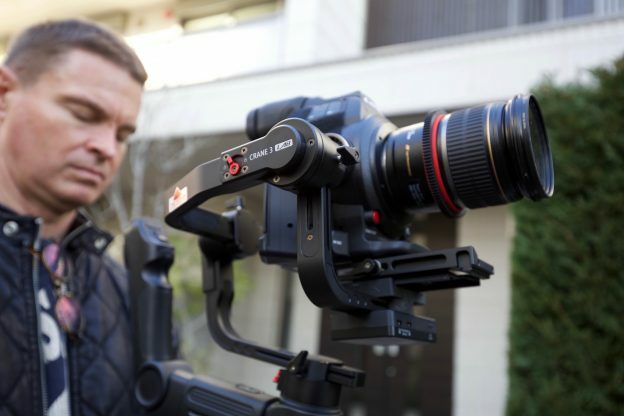 So how did the Crane 3 Lab perform with the C100 Mark II? In short, it does work, but with a bunch of caveats. 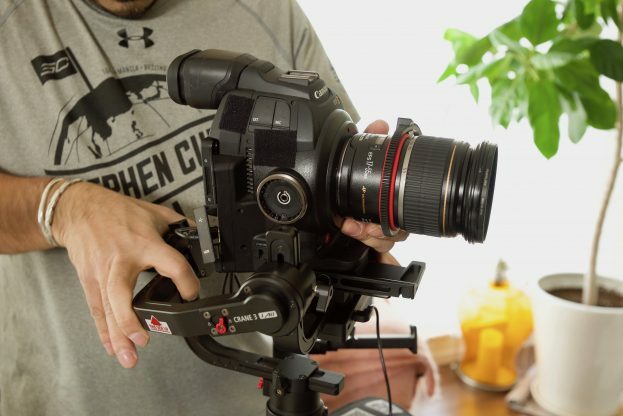 The Zhiyun Crane 3 Lab easily supported the weight of the Canon C100 II & 17-55mm lens. The good news is, the gimbal did handle the weight quite well and it was relatively easy to get nice results. The weight of the camera and gimbal does make it hard to hold for too long and I was constantly finding myself wanting to put it down. Above you can see some footage captured with the Canon C100 Mark II on the Zhiyun Crane 3 Lab. Even though the C100 Mark II (and this will probably apply to most smaller digital cinema cameras) is well under the maximum payload capacity of the Crane 3 Lab, you have to move it as far back as you can to achieve the correct balance. Even though your camera package may be within the weight limit, it still needs to balance correctly. The problem with doing this is then the Crane 3 Lab cannot go into low mode because the viewfinder hits the rear motor. The only way around this would be to use a lightweight pancake lens so you could shift the camera forward, or add counterweights. If you used a Canon C200 I think you wouldn’t have this problem as it isn’t as high as the C100 Mark II, particularly the C200B which has the EVF removed. The next problem is that you cannot do camera control with the C100 Mark II (again this is probably the same with most digital cinema cameras) so you can’t use the Zhiyun Play app to control the camera or the gimbal. I could get the wireless video feed from a GH5 without having to use a camera control cable, but on the C100 Mark II, I wasn’t able to get the Zhiyun Play App to display the wireless image. I’m not quite sure why this was the case. Finally, if you want to use optional Focus or Zoom motors they sit too far down and the gears don’t reach the lens. There is no way of raising the bracket that supports the 15mm rods for the motors. The whole reason I would primarily want to buy a larger gimbal with a high payload capacity is so I could run smaller sized digital cinema cameras. The problem is half of the key features that make the Crane 3 Lab so attractive don’t work with these type of cameras. The fact that a lot of them won’t be able to go into the low mode, use the Zhiyun Play App or receive the wireless video feed is really disappointing. Even the optional Follow Focus and Zoom motors are not going to work with most small digital cinema cameras. I just don’t see the point in buying a large gimbal like the Crane 3 Lab if you are only going to use small mirrorless or DSLR cameras on it. To me, it makes way more sense if this is the type of camera you are going to use to just buy the Weebill Lab. 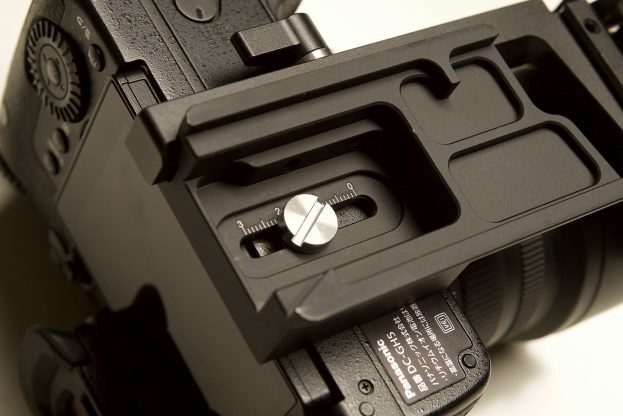 On smaller cameras (especially those where the battery goes in the bottom) you are going to run into a problem when the lens support latch covers part of the battery compartment. This makes it impossible to change out batteries unless you remove the camera from the gimbal and then take out a screwdriver and loosen the quick release plate. As I mentioned earlier if you use the Crane 3 Lab without the bottom handle/stand your hands are bound to accidentally hit the controls and you will find yourself making changes that you didn’t intend to do. This could have easily been resolved by adding a locking feature so that even if you hit or accidentally pressed buttons nothing would happen. Given that you can still control the gimbal through the Zhiyun play app, having a lock for the physical controls on the handle would make a lot of sense. If you are going to use the Zhiyun Play app and the wireless video streaming you need to factor in that it is going to drain your camera’s battery a lot quicker. I found that the battery life on my GH5 was being greatly reduced once it was hooked up in the tethered mode to the Crane Lab 3. Main competition comes in the form of the DJI Ronin-S, Moza Air 2, and the Tilta G2X. From my experience, all of these gimbals are very capable products. Which one works for you, really does come down to extra features and accessories that are available. 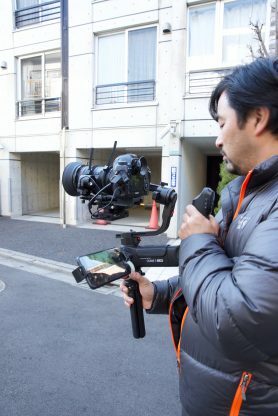 The Crane 3 Lab is more expensive than all of its competition and is $150 USD more than the DJI Ronin-S, and $300 USD more than the Moza Air 2. Is the Crane 3 Lab a very good single handed gimbal? Absolutely. 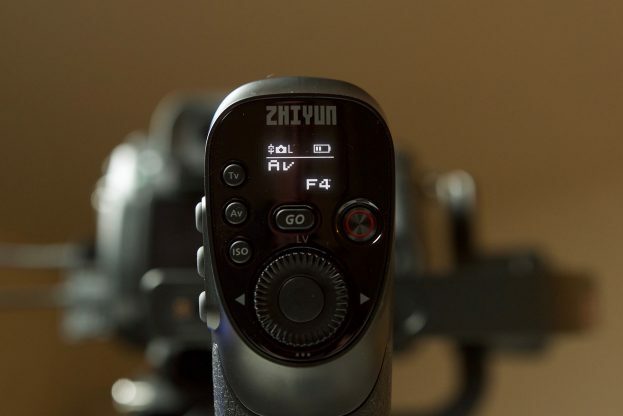 Zhiyun has certainly made a product that I think a lot of shooters are going to like. Whether you like the new design with two handles is very much going to be a personal decision. I’m not quite sure whether I like it or dislike it, but I haven’t really used the gimbal for long enough to really make a definitive call on that just yet. It’s always hard when someone changes the concept of how something is used, and it’s going to take time to see if people like or loathe this new design. I have to give credit to Zhiyun. 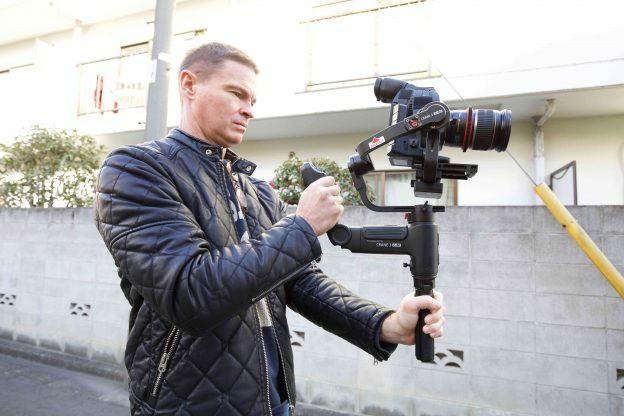 They are constantly improving their products and they have been at the forefront of innovation and features when it comes to single-handed gimbals. 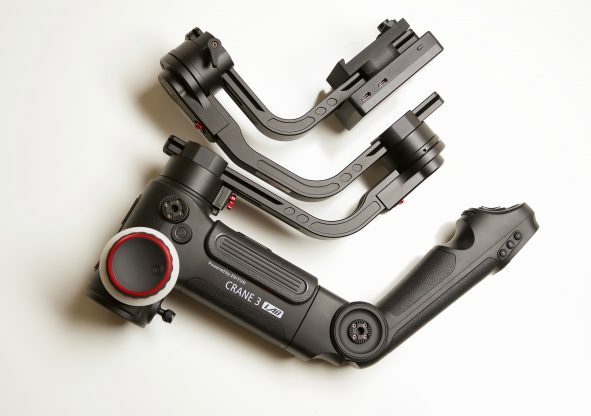 Its got to a point where very little separates any of the gimbals when it comes to performance, this is especially true with single-handed gimbals such as the Crane Lab 3. Almost all of the gimbals in this class (and I’m talking about the Ronin-S, Tilta G2X, and Moza Air 2), are all good options and you can’t really go wrong with any of them. They all work well and making a choice as to which gimbal to get is extremely difficult. What gimbal to buy really comes down to the extra features and accessories that are available, and how you want to use it. I’m not a big fan of using heavy gimbals if you are just running smaller DSLR or mirrorless cameras. In that regard, for me at least, I prefer the smaller Weebill Lab over the Crane Lab 3. In saying that, using a larger gimbal puts less stress on the motors and does give you more flexibility to use larger lenses on smaller cameras. Zhiyun has certainly thrown everything but the kitchen sink into the Crane 3 Lab, and there is no denying that it is a very feature rich gimbal. Despite all of the features and pizazz, it’s nice that you don’t need to use any of them if you don’t want to. 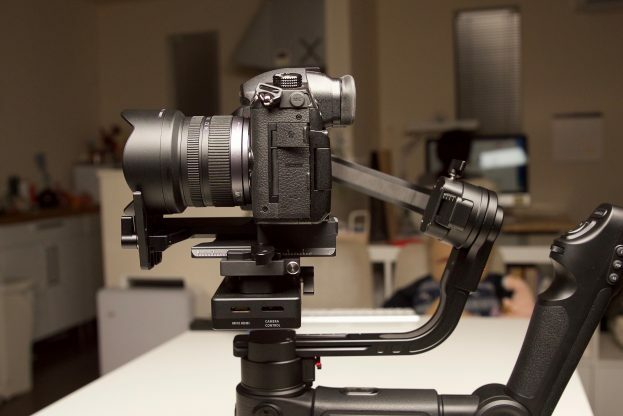 Zhiyun has managed to still make a gimbal that can be used for both simple and more complicated shots and is versatile to handle a range of camera and lens packages. The gimbal itself performs really well and at no time did I have it freak out and start vibrating or moving around. As a stand-alone gimbal, you can certainly get really nice results. 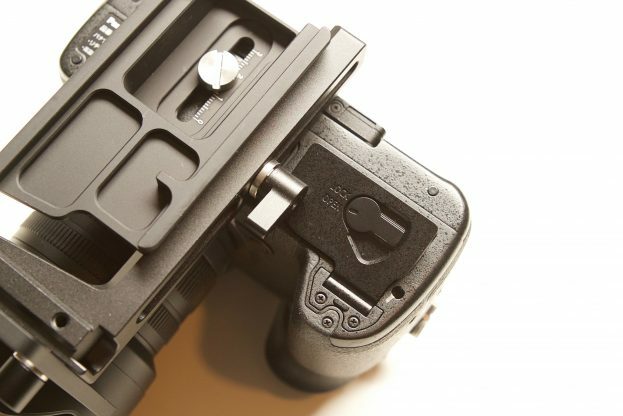 The latches are a really nice touch, as is the quick release that allows you to take the camera off the gimbal and then put it back on without having to make any balancing adjustments. The optional electronic follow focus and zoom motors work well, but in all honesty, I’m not sure how many people are actually going to use this. As it only works on a gimbal, it’s not a very flexible product. Don’t get me wrong, it’s great to have, but for me personally, when I use a small gimbal it’s usually with a wide angle lens where you don’t tend to adjust the focus and zoom that often. 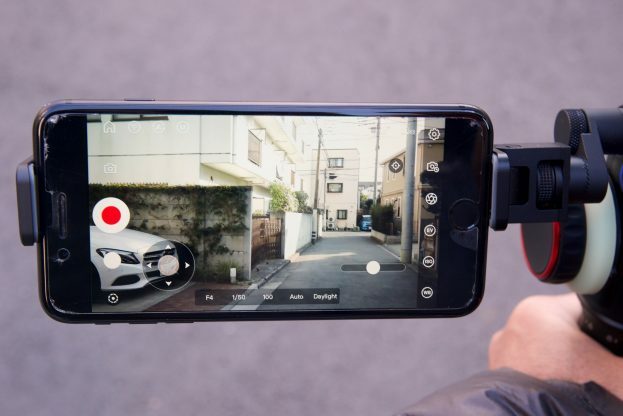 The wireless video and app that allows you to monitor the images from certain cameras and make changes have all been improved by Zhiyun, to the point where it is much more reliable and easier to use. The image quality of the wireless signal is a lot better than it was with the Weebill lab, but it still has some latency issues every now and then. To me, the wireless video and app control and the two biggest selling points of the Crane 3 Lab. In summing up I think Zhiyun has made a really good gimbal that certainly offers pretty decent value for money, although it is more expensive than offerings from Moza, DJI, and Tilta. 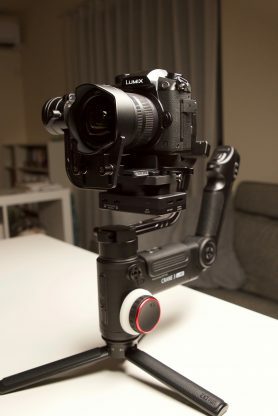 Its performance as a gimbal is pretty good and the fact that you get so many included features is bound to make it a popular choice for shooters looking for a compact, easy to travel with gimbal that can handle a variety of small mirrorless or DSLR camera packages. Zhiyun has a series of tutorial videos on the Crane 3 Lab which you can view below.